The US-based Edward has continued to maintain her phenomenal rise having reached the women’s singles final of the Central Bank of Nigeria Open last year. Nigerian tennis star prospect, Marylove Edward alongside Usman Kushimo, will lead Nigeria’s quest for glory at the 2018 ITF/CAT 14 and Under Championship. The tournament serves off on Monday at the Tennis Centre, University of Pretoria, South Africa. She clinched gold at the West and Central African Championship held in Lome, Togo in February while Kushimo, from Ogun State, clinched a qualification spot on his debut outing for Nigeria at the same event. Both will now face tougher oppositions at the week-long tournament featuring over 40 players from 14 African countries, but Edward maintains she is up to the task. “I’m looking forward to win again, but I know it’s going to be tough,” she said just before the team, led by coach Margaret Olagundoye departed Lagos Airport aboard South African Airways on Saturday evening. Edward recalled she had a poor tournament two years ago in South Africa when she crashed out at the African Junior Championship but said she is ready for the challenge this time. 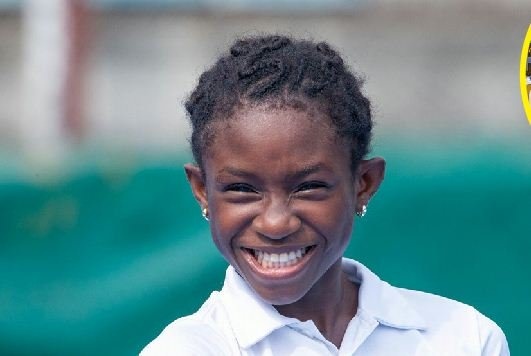 Marylove Edward is currently with the IMG Tennis Academy in Bradenton, Florida courtesy of her management company, the Temple Management Company. Nigeria’s best outing at the tournament was in 2017 when Michael Osewa reached the final losing to Damien Laporte of the Seychelles.